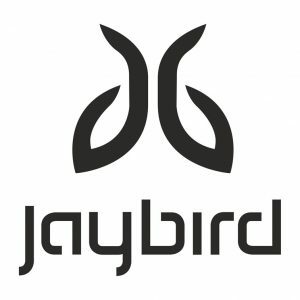 We are happy to reveal that Jaybird is our partner at Helsinki Marathon this year 2019! Event hotel offer for the runners! 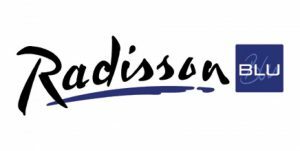 OUR OFFICIAL EVENT HOTEL IS RADISSON BLU SEASIDE! The room offer is available between 20.2.-31.7.2019. 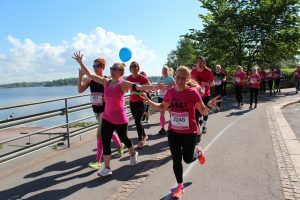 We are now looking for pacers for Helsinki Marathon 2019! We are looking for pacers for Helsinki Marathon! We are providing pacers for marathon, 10k and half marathon. We have pacers for the following finishing times for marathon: 3:15, 3:30, 3:45, 4:00, 4:15, 4:30, 4:45, 5:00, 5:30, 6:00. Apply for volunteering at running events! 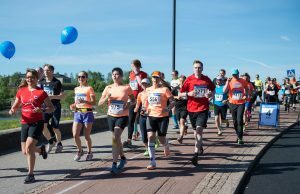 Helsinki Marathon is looking for volunteers for the event. 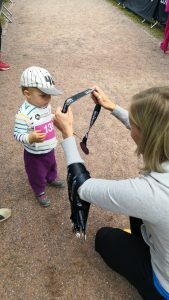 Kids Run Helsinki registration is now open! The registration for Kids Run Helsinki is now open! Registration for the event is now open on the website! New distances: Half marathon and marathon relay! You can run half marathon or participate to marathon relay with your team in next year’s Helsinki Marathon! Half marathoners will run two loops in half marathon course. The length of one loop will be 10,55 k. Preliminary start time for half marathon is 9 am so it will start at the same time than marathon. Marathon relay’s teams consist 4 runners. Each runner will run 10,55 k loop around Helsinki Marathon course. Marathon relay will start at the same time with marathon and half marathon, at 9 am. Be quick and register yourself to half marathon or your team to marathon relay from this link. Early bird price for half marathon is 24 EUR and for marathon relay 85 EUR. This early bird offer ends on 7 December 2018. #WeRunHelsinki -trainings will be continued on 10.11.2018, when we are training together at Eläintarha stadium. Each training has it’s own theme and there will be different pace-groups. The trainings are free of charge for all attending Helsinki10 (27.4.2019) Helsinki Half Marathon (8.6.2019), Helsinki Twilight Run & Walk (3.8.2019) or Helsinki Marathon (24.8.2019) and for the one’s that have attended/are going to attend Runner’s High coachings during the year 2018-2019. 10.11.2018 #WERUNHELSINKI – Training / Eläintarhan urheilukenttä. Helsinki deserves its own beautiful marathon event. Our Helsinki Marathon team will make it happen on August 25, 2018. 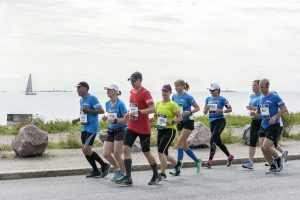 How to join the first Helsinki Marathon? Registration is now open. The best way to join Helsinki Marathon is by registering to the event HERE. There are to distance options: the full marathon and 10k race. Registration fees can be found HERE. Let’s make Helsinki the Nordic running capital together!